Celebrities are the trend setters, when it comes to fashion. Women love following the clothes worn by their favourite stars. And we are no exception. We are diligent followers of all stylish celebrities out there. This week we are going to feature a stunning silk saree style that you can incorporate from our favourite celebrities. 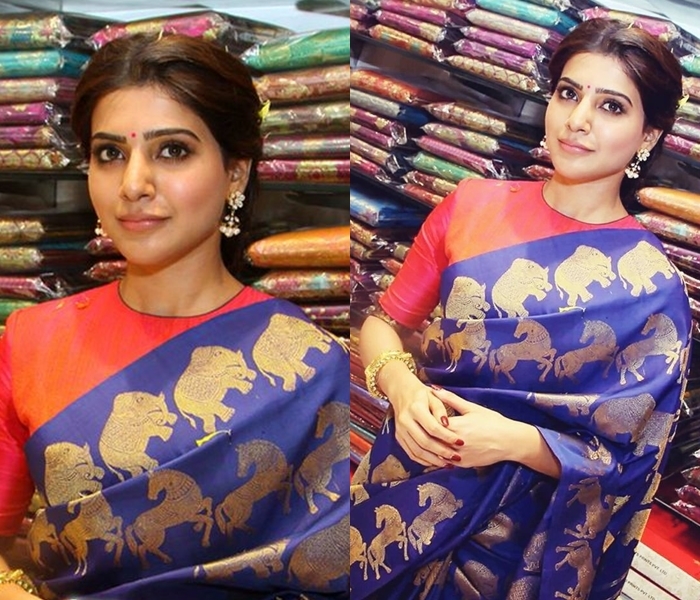 We all know that Kanchipuram pattu sarees are in fashion, but recently our south stars have taken the fabric to a whole new level. 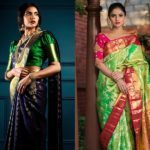 Kanchipuram pattu sarees are best known for their extravagant and rich embroidery and combination of contemporary and traditional designs. 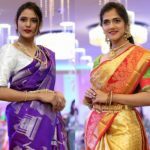 Samantha and Aarti (Jayam Ravi’s wife) have shown as how extraordinary these sarees can make you look on prominent occasions with right choice of colors and apt accessories. 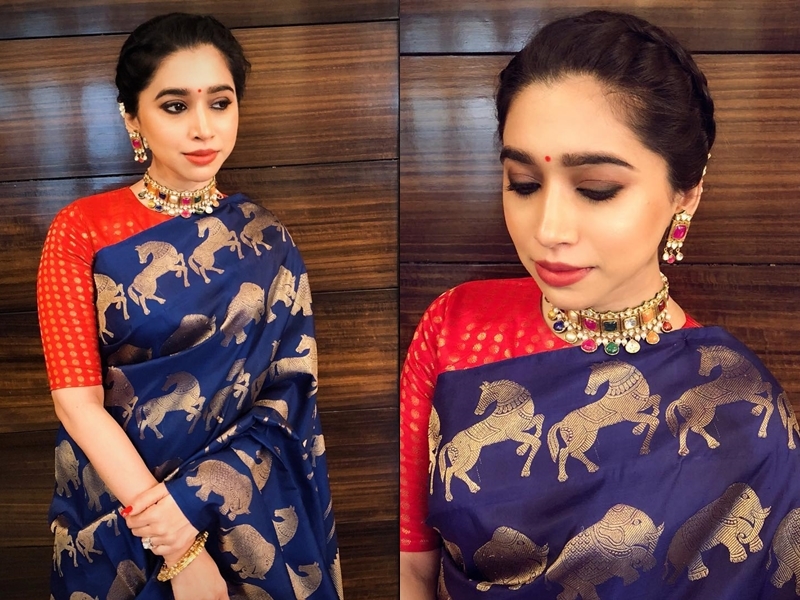 At recent events, Samantha and Aarti were spotted with a similar style adorning a navy blue kanchipuram silk saree with golden elephant and horse motifs respectively. To perk up the look, these pretty women donned a royal red blouse. Now scroll down to take a look on why we are so much raving about this saree style! Animal motifs are currently trending in fashion, as they symbolise the rich Indian culture. Incorporating these animal prints in the lavish silk saree and matching it with vibrant blouse, is surely a great idea that is going to set you apart from your fashion crowd. So ladies, do take the cue from these celebrities, and make sure to try them out! Previous articleWant to Look Artistic? Try Printed Pure Silk Sarees!